Expand your clientele, your reputation and your business. Taught and designed by Gary Craig, EFT Founder. Applies to every issue. Scroll down for complete details. It is the ultimate skill. This Membership material is vast... and expanding. There is nothing like it, anywhere. No textbook... or university... or government... or anything else contains this rewarding road to results. Massive value. If this unique training was available (it isn't) through a top-level University, like Stanford, it would cost $200,000. By contrast, you can learn it at your own pace for $1,500 and can spread the payments over as many as 18 months ($84 per month). Monthly payment plans available (3, 6, 12 or 18 months). Learn at your own pace. No deadlines. Attendance and participation in Live Webinars with Gary where you can ask questions, participate in group benefits, and discover our newest approaches. Eligibility to participate in (or start) a Live Practice Group. 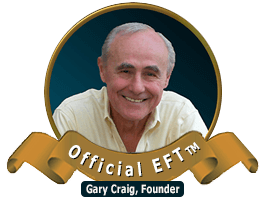 A credential aligning you with the Gary Craig Official EFT Training Course. No charge for all future updates and expansions. It's a one-time only fee. Bonus material not available elsewhere. Below are more details about what you will receive. Optimal EFT applies to all issues. Included in this High-END Membership. These 30 lessons continue on from where The Unseen Therapist intro book ends. These 30 advanced Optimal EFT lessons are essential for all serious students and each one takes you another step up our Stairway to Miracles. This is where you begin your advanced training. They open stunning new healing vistas and gently guide you... step-by-step... up The Stairway to Miracles. They are detailed, easy to read and begin where my introductory book, The Unseen Therapist, ends. Anyone can master them. Intro and Lesson 1 This paves the way for your ascent up The Stairway to Miracles. Reducing "Mind Chatter" in The Personal Peace Procedure: An easy way to quiet the mind - brings personal peace all by itself. Expanding on specific events - Finding Aspects: An essential tool for being thorough. Expanding on specific events - Bouncing Off Foundational Issues: Get to the real core issues fast. Expanding on specific events - Table Top / Table Legs Metaphor: This common sense metaphor simplifies the entire healing process. Allows you to approach ANY ailment with confidence. The Generalization Effect: Saves loads of time. Collapse hundreds of related issues by addressing only a few of them. How to find Specific Events underlying emotional issues: Teaches you to be razor-sharp in finding what's REALLY behind elusive emotional issues. How to find specific events underlying emotional issues: Be efficient in finding the true causes behind stubborn emotional problems. Liberating. Resentments: A refreshing look look at these "bliss bandits." Fade them into nothingness. Asking The Unseen Therapist for essential issues: Learn to speak directly with the spiritual dimension and receive true guidance for any question. Get answers to prayers through a unique form of focus. The Tearless Trauma Technique for intense issues: Learn to easily "take the edge off" of very intense issues and pave the path to emotional freedom. Testing your work: Measuring your success: Master several simple tools to always know your progress. Essential. Separates the pros from the amateurs. Expanding on specific events: Association and dissociation: Learn to avoid tip-toeing around difficult issues and pull them out by the roots. How does the ailment benefit you? Expose what is often a stubborn, underlying cause and turn it into healing. The Tell the Story Technique: A useful method for finding details: This simple but powerful process can also be used as the centerpiece of a session. Chasing the pain: Instead of addressing emotional issues head on and watching the related physical symptoms dwindle, we can sometimes do the reverse by aiming Optimal EFT at the related physical symptoms and then watch the underlying emotional issues fade. Everyone has the same issues: Every medical student should master this completely new, and refreshing, truth. Once your "own" it, new healing vistas appear. Working one-on-one: The client/counselor relationship: Learn how true healing is done THROUGH you, not BY you. Very powerful. Common challenge: The non-feeling person: Learn how to bring emotional freedom to those (including you) who have so protected themselves from their traumatic past that they have "no feelings" about any of their yesterdays. Common challenge: When you can't find a specific event: No problem. This solution has a very high success rate. Common challenge: Can't isolate one event out of many similar circumstances. Sometimes a given event occurred so frequently over the years that it is difficult to isolate one specific event out of the constant parade. This tool provides the answer. Common challenge: When someone "feels worse" after a session: Learn how to turn this into healing. Common challenge: Meltdowns or abreactions: Learn to address this effectively with surrogate Optimal EFT. One person performs the process surrogately for another: An essential skill that brings rewards for the other person and YOU. Conversational EFT: Get great benefits through what appears to be an everyday discussion. One person provides surrogate benefits for an entire group of people: Unlimited possibilities here. A group working for an individual - Everyone wins. A group working for the whole group - Everyone wins. EFT Tapping: Complete instruction to this forerunner to Optimal EFT. Included in this High-END Membership. Own the richest encyclopedia of healing videos ever assembled. Get near-instant answers to your questions. Learn at the highest levels... exclusively from the founder. 50+ (and expanding) Webinars... use as a direct learning tool or as a vast resource library. Immerse yourself in full Optimal EFT sessions (conducted by Gary) where both you and the entire audience benefit. Get personal benefits even though the Webinar is recorded. This is possible because, in the spiritual dimension, time is non-existent. Save time by selecting from the Topics of Interest that accompany each recorded Webinar. These aim you right at the video segments that appeal to you. Learn countless tips & how-to's that you will never find on the internet. Insure that you "own" these gems by revisiting them as often as you want. Be first to learn the new discoveries. All future Webinar recordings are yours. No extra charge. And... most importantly... unlock your "spiritual healer within" (The Unseen Therapist). Included in this High-END Membership. From Low-Level Lethargy to Liveliness. Follow along for personal benefits. It's like having personal sessions with Gary. Side benefits include improvements in: abandonment, adrenal fatigue, vision, relationships, self-blame, mother issues, "do it right" and forgiveness. Unique process: Improve your issues while you learn. Use these sessions for ANY other issue. One-of-a-kind series of sessions not seen anywhere else... exclusive. Communicate directly with God (The Unseen Therapist). Included in this High-END Membership. From Anxiety to Peace in 5 sessions. Side benefits include improvements in: abandonment, restlessness, molestation, guilt, shame, not Lovable, not good enough, gut tightening, low energy, low appetite, lack of motivation-paralyzed, and easily brought to tears. Included in this High-END Membership. Avoiding eye injections and blindness in 4 sessions. Process works for ALL vision conditions. Underlying issues include: lack of love, mother issues, father issues and a spectacular shift in father's demeanor even though he wasn't present in the sessions. Included in this High-END Membership. Applicable to just about everyone - 7 sessions. Involves an intense emotional issue and a cough, the causes for which were completely unknown. Gary works with Bobbe over 7 sessions to bring complete resolution. "Side benefits" include:improvements in: "I'm not lovable," "I'm not good enough," breathing issues, unworthiness, and parent issues. Included in this High-END Membership. These 11 time-honored, live video sessions display the foundation to Optimal EFT's high-end approaches. They came from the original EFT Tapping method (the forerunner to Optimal EFT) and provide endless examples of EFT creativity. They address serious human issues and thus represent the best of EFT Tapping. Here are the topics for the videos. Included in this High-END Membership. An extraordinary self help EFT Tapping tool. Get quality results without leaving your living room. Just "tap along" with live video sessions. Good for all issues. The 11 time honored videos.included herein came from the original EFT Tapping method (the forerunner to Optimal EFT). Accordingly, they display the foundation to Optimal EFT's high-end approaches and thus provide endless examples of EFT creativity.. In addition to their special Borrowing Benefits design, they address serious human issues and thus represent the best of EFT Tapping. LaVern - Rejection: "I don't want to dance." Andy - "I could never do anything right." Patricia - Social discomfort and "Momma didn't want me"
Sarah - Alcoholic mother and "I must fix the world"
Included in this High-END Membership. Complete pain management course. Two ladies (Tricia and Ann) with SEVERE pain work directly with Gary for impessive success. It's like having personal sessions with Gary. Please note that this class came from the original EFT Tapping method (the forerunner to Optimal EFT). Accordingly, it displays the foundation to Optimal EFT's high-end approaches and thus provides endless examples of EFT creativity. Newcomers are often astonished at how quickly pain can subside. No pills, radiation, surgeries, etc. are required. Rather, we make the assumption that a contributing factor to your pain, if not the main cause, is one or more emotional imbalances within your system. You will see that clearly in the video sessions included with this course. You will also see how intimate emotional and dream issues are expertly handled. Included in this High-END Membership. Impressive relief from this extreme fear. During public speaking circumstances Cheryl, our subject in this video class, would get foggy headed, couldn't see properly, couldn't breathe well, became disconnected and started shaking. Follow along with these videos, as though you were Cheryl, and it's like have personal sessions with Gary. Please note that this class came from the original EFT Tapping method (the forerunner to Optimal EFT). Accordingly, it displays the foundation to Optimal EFT's high-end approaches and thus provides endless examples of EFT creativity. It addresses serious issues and thus represents the best of EFT Tapping. Very useful. A full understanding of Optimal EFT can provide even deeper benefits. Cheryl's fear of "being seen.."
Included in this High-END Membership. This class corrects the emotional reasons that stand in the way of weight loss. This class is about that compulsion to raid the refrigerator when we are not hungry. Some call it "nervous eating" while others call it "medicating oneself with food." We call it Emotional Overeating. Whatever you call it, it is that sense of anxiety or unrest that fattening "comfort foods" seem to temporarily tranquilize. All other weight loss issues sit on top of that foundation. If you solve THAT problem then the rest of the issues tend to fade and will power becomes less and less necessary. The videos in this class consist of 5 full sessions with overweight ladies where Gary explores and treats the underlying emotional issues. Follow along as though you were these ladies and it's like having personal sessions with Gary. "There's something wrong with me." "It's not safe to lose weight." Grief over the death of a beloved uncle. Included in this High-END Membership. High-end approaches to a difficult, many-faceted problem. These 22 high-level video sessions with Nancy start with what seems to be a routine grief issue where, of course, resolution is expected within a session or two. But such was not the case. Underlying Nancy's intense grief was a pervasive foundation of guilt and, underlying that, was an entire childhood of abuse at the hands of a bi-polar mother. A rainbow of emotions such as anger, rage, fear and constant self flagellation was the natural result. She even harbored the firmly held belief that she was "Bad at the Core." Everything, it turns out, was interrelated and thus carving out grief from this potpourri of issues was impossible. It ALL had to be addressed before any of it could be properly resolved. The videos in this class consist of full sessions where Gary explores and treats Nancy's numerous underlying emotional issues. Follow along as though you were these ladies and it's like having personal sessions with Gary. Included in this High-END Membership. Expand on some of the essential EFT Tapping procedures. In this detail oriented video series, Gary and his daughter Tina get behind the EFT Tapping scenes. You will be immersed in the inner workings of EFT Tapping and yet more doors will be opened for you. Rambling during the Setup Phase. The Movie Technique with Reframes. Included in this High-END Membership. Dipping into the "impossible." 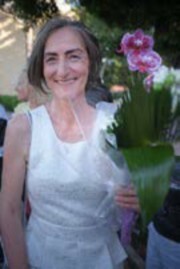 Now we come to EFT Tapping's higher levels where we dip into the "impossible" and go beyond conventional science. This is about other people gaining benefits while you tap yourself on their behalf. The other people don't have to do anything. In fact they don't even need to know you are doing it. As you will see in the included videos, the results can be stunning. Bobbi: Surrogate EFT Tapping for a physical issue. 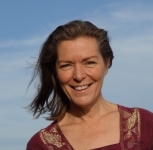 Betsy: Surrogate EFT Tapping for physical and emotional issues. Howard: Surrogate EFT Tapping for his son's behavior issues. Dusty: Surrogate EFT Tapping for her son's Down Syndrome and Autism issues. Victoria: Surrogate EFT Tapping for her mother's Dementia issues. Included in this High-END Membership. How Gary grew EFT from 20 people to millions. This is a full day workshop where Gary and 45 EFT practitioners gather together to explore the same Marketing Tips & Treasures that Gary used to expand EFT from 20 followers to millions... and it was done WITH NO ADVERTISING WHATSOEVER. It is like being there yourself because the various inputs and questions from the audience are likely to echo yours. You have an added advantage, however, in that you can stop and replay anything you wish. This assures your thorough understanding. NOTE: This presentation was created before the introduction of our latest advancement, Optimal EFT. Thus the audience members are used to using EFT Tapping rather than The Unseen Therapist. That is fine. It doesn't impact the marketing message because the principles are timeless and apply universally. Why can we do more business with ethical marketing practices than with the hype, overselling and/or clever advertising words that are so prevalent in marketing today? 3 sacred marketing rules: Be believable, have an extraordinary product, achieve product congruence. Sewing seeds to let clients know all that is available to them through you and EFT. Otherwise, they are conditioned to think your skills are limited. The importance of Testing your ads. Why it is critical to test one feature at a time? Cross Referrals, properly done, will generate more clients than you can possibly handle. Learn the ins and outs of doing this. I gave up my prescription pad and now use only The Unseen Therapist for my clients.